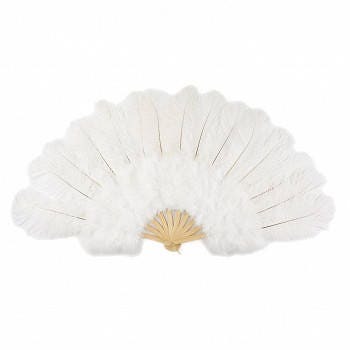 This Ostrich - Marabou Feather Fan measures 20x36" when fully opened. 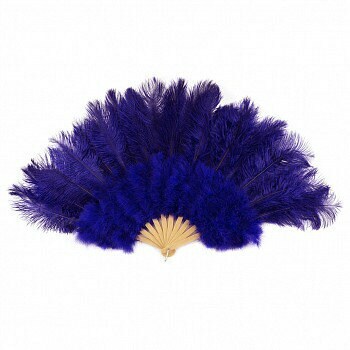 This fan is made with Marabou and dyed Ostrich Drab feathers approximately 12-13" long that are attached to each of the 10 staves. 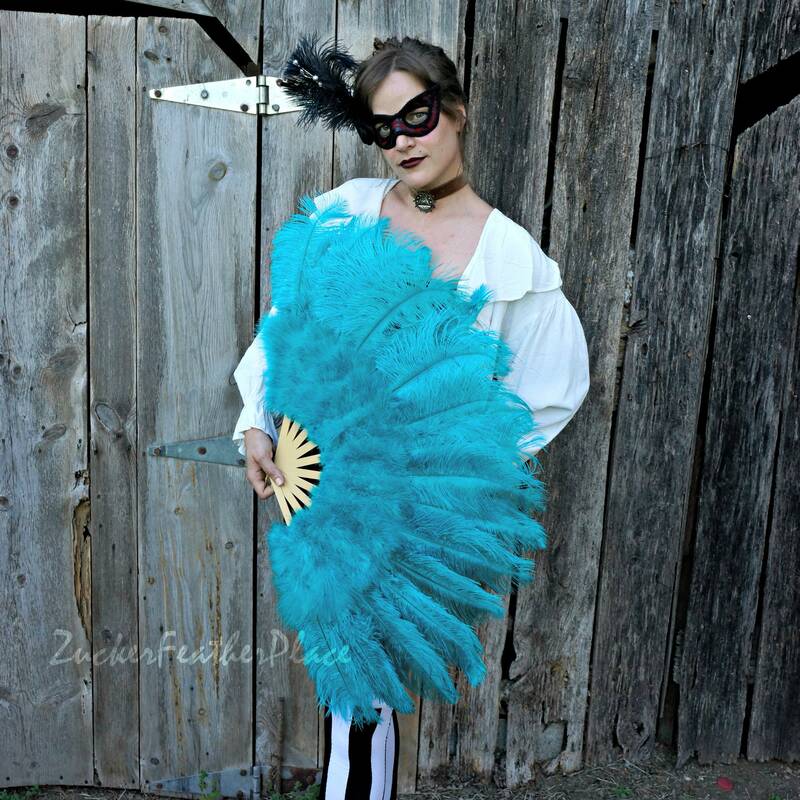 Each stave measures 12" long and the feathers are glued onto the staves covering 7" inches of each stave. 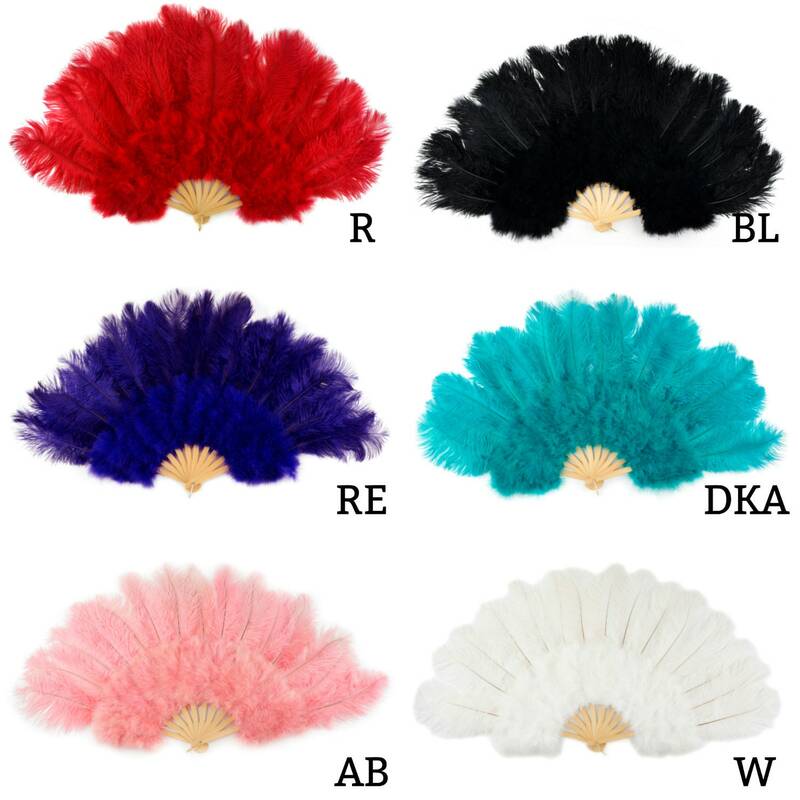 Unfortunately we cannot ship any Peacock, Pheasant, Ostrich or Partridge Feathers or Products with these feathers Internationally without going through the proper US Fish & Wildlife $93, USDA Health Export Certificate $62 or CITES Documentation and Inspection $191 (Peacock). 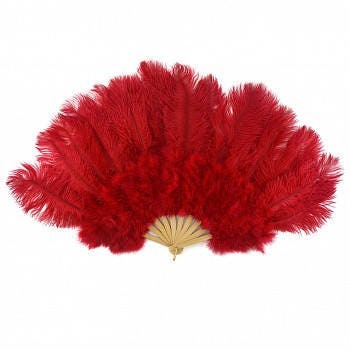 ALL Custom Fees or Duty Taxes associated with the international purchase of Peacock, Pheasant, Ostrich or Partridge Feathers and Products are the responsibility of the buyer and are Non-Refundable. In rare circumstances, Customs or Immigration can seize items and/ or can cause a delay in delivery.